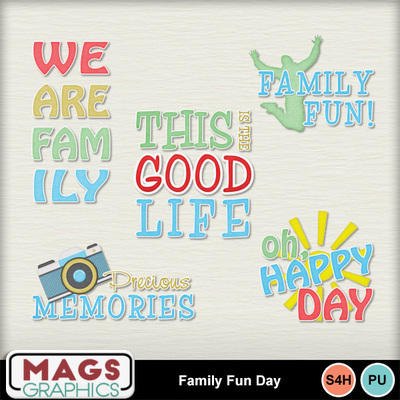 It's time to celebrate FAMILY with the FAMILY FUN DAY Collection! This series is packed with items to scrap your playground, picnic, or day-out adventures. This is the WORD ART Pack.